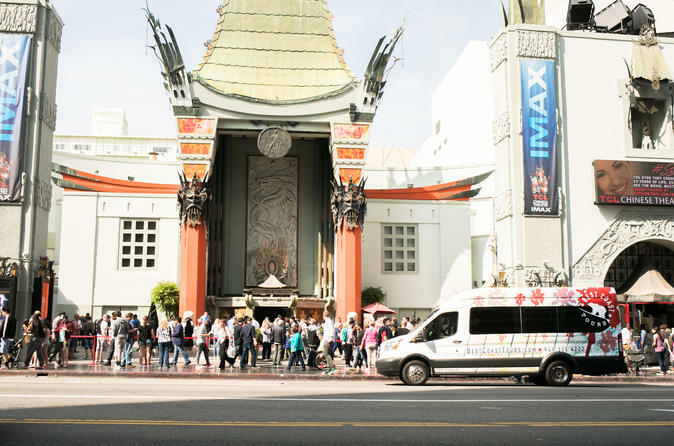 Leave the driving to us - Let us show you the best of Los Angeles, Hollywood, Beverly Hills, Venice Beach, Santa Monica, and more! Leave the driving to us! - Let us show you the best of Los Angeles including the famous Hollywood sign, shopping on Rodeo Drive and Beverly Hills, seeing the stars on the Hollywood Walk of Fame and the Grauman’s Chinese Theater, the views from Mulholland Drive, famous movie studios like Paramount Pictures, Century City, classic sports stadiums like the Staples Center or Dodgers Stadium, stopping to eat lunch at The Original Farmer’s Market (lunch not included in price), seeing celebrity actor and actress homes, and checking out the art and colorful culture of Venice Beach. The best tours are with the locals. With us, expect a full day of touring but you’ll get rest stops for photos, shopping, and lunch. Plus, our highly trained and family-friendly tour guides will show you some of the things you won’t see on any other tour all while sharing with you plenty of interesting tidbits, history, and fun filled stories of our infamous “City Of Angels”.